All reports use the same styles that are centralized in the aiStyles.rptLibrary directory. 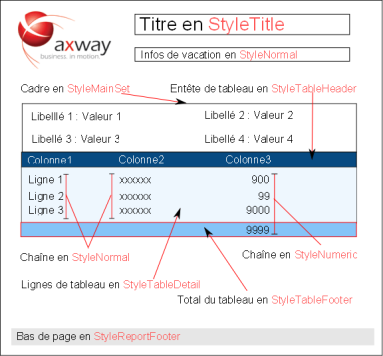 Consequently you can modify the report styles once and for all. You define style use as follows.